Tiffany Haddish attends ‘Koshie Mills presents ‘The Diaspora Dialogues’ on March 09, 2019 in Marina del Rey, California. 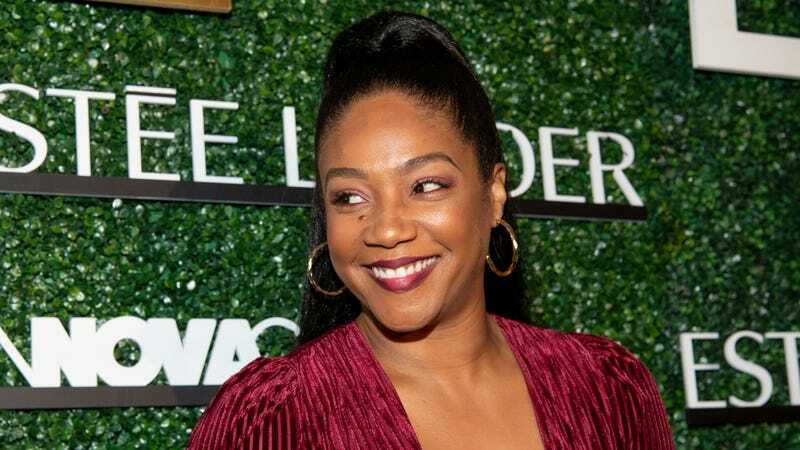 Tiffany Haddish’s catchphrase, “She ready” is so prevalent with her brand, it has essentially taken a life of its own. Now, she is cooking up a new Netflix series. Naturally, the name of the series is Tiffany Haddish Presents: They Ready. The new series will feature six comedians and will be executive produced by Haddish via She Ready Productions, along with Wanda Sykes and Page Hurwitz, via Push It Productions. “I am introducing six of my favorite comedians—in my eyes, they are superstars. The epitome of ‘They Ready’,” said Haddish. This is a dope opportunity for comedians often overlooked in the mainstream sectors of the industry. I am hoping the money matches the representation because we still have our eyes peeled after that Mo’Nique fiasco. Haddish already has an existing relationship with Netflix and is set to premiere an hourlong comedy special hosted on the popular streaming network later this year. Additionally, she will be co-starring with Ali Wong in the animated series, Tuca & Bertie premiering on May 3. Here’s to more funny black girls getting to showcase their funny.